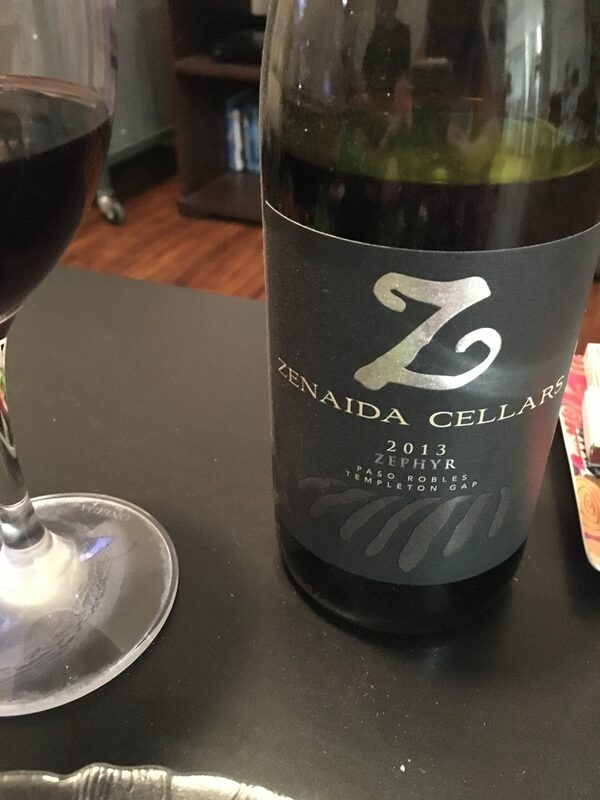 We came across Zenaida Cellars towards the end of a recent Paso Robles trip. It was supposed to be our last winery of the stay as we made our way out of town, but upon the recommendation of the woman serving us 10:30 a.m., we headed up the road to Ecluse. We are now members at Ecluse and I am always so grateful for the recommendation. In addition to the wonderful recommendation, Zenaida had solid wines of its own. The 2013 Zephyr, especially. This blend is 55% Syrah, 40% Zin, 5% Viognier (!! !, more on the !!! later). It’s smooth, velvety and just lovely. The meaty red blend has notes of cherry (it’s fruit-forward no doubt), too. Now you may ask, what’s with all those exclamation points? Well I was surprised to see Viognier, a white varietal, mixed in with the predominantly Syrah/Zin blend. Not only was this a yummy wine, but it provided a teaching moment. File under: TIL! The white grape once was commonly blended with Syrah in France as the varietals grow alongside each other in a region in the northern Rhone Valley. The practice still occurs in France, but not as often as back in the day. You will also see it done in Australia. As an aside, Zenaida also has a cute little loft on the property where you can stay. The room was out of our budget, but if you’ve got the dough, it’s a good location. When to drink: With a juicy, rear steak.